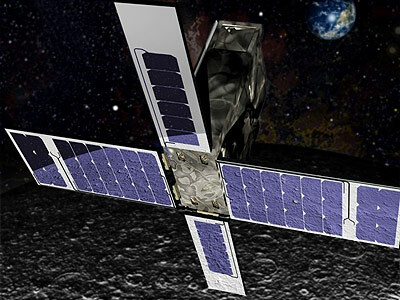 LunIR (Lunar Infrared Imaging), formerly known as SkyFire, is a small lunar mission designed by Lockheed Martin to test low-cost instrumentation that could help study the lunar and Martian surfaces and survey landing sites. It was selected in 2015 by NASA's NextSTEP program. The LunIR satellite will be deployed into lunar trajectory by the SLS (Block 1) iCPS. During lunar fly-by, it will collect spectroscopy and thermography, address both Moon and Mars SKGs for surface characterization, remote sensing, and site selection. LunIR is one of 13 cubesats planned to be carried with the Orion EM1 mission into a heliocentric orbit in cis-lunar space on the maiden flight of the SLS (Block 1) iCPS launch vehicle in 2019.